The Huh? 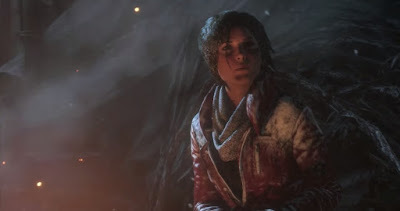 : Rise of the Tomb Raider: RUMOR NEWS- A One Year Wait for PS4: Due HOLIDAY 2016?!? Rise of the Tomb Raider: RUMOR NEWS- A One Year Wait for PS4: Due HOLIDAY 2016?!? In an awful announcement for Playstation users, Microsoft's timed-exclusivity deal creates a huge delay in release dates between systems for the upcoming Square-Enix game Rise of the Tomb Raider. The newest rumor claims there is a monstrous one year wait. PC players won't have it quite as bad, their's will be available merely a few months after the Xbox One's release- placing it somewhere in "early 2016" with the stipulation that they need to have Windows 10 to play it. A Bleak Release Date Outlook. I've never been keen on the timed-exclusivity deals, but this one is absolutely ridiculous. A whole year, that could be very bad news for Square-Enix if Playstation users take offense at this absurdity. This type of thing creates a lot of distaste for the waiting game and generates buyer backlash and disinterest for not being able to obtain a copy for your preferred system. If the rumor is true, it definitely feels like a swift kick to my consumer nuts. I honestly don't think my fandom is willing to wait that long to support a franchise I've enjoyed since it's inception.